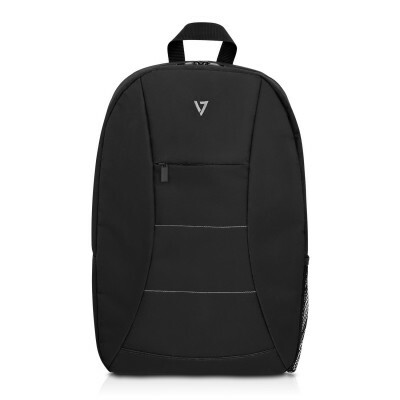 The V7 Essential Laptop Backpack is stylish and slim, yet built with solid construction and is a great solution for on-the-go professionals and students alike. The backpack is designed with a dedicated, padded notebook section designed to fit notebooks up to 16â€. The Essential Laptop Backpack also features an additional section â€“ perfect books or your workout gear. There isa side water bottle holder for convenience, and the front zippered pocket provides deep storage and easy access to grab your things on the go, plus padded shoulder straps provide all-day comfort. - Dedicated compartment for laptop up to 16"